【YAMAHA】Z:TA-R | Products （Mounter ）| MASS CO., LTD. Highest productivity in the world! 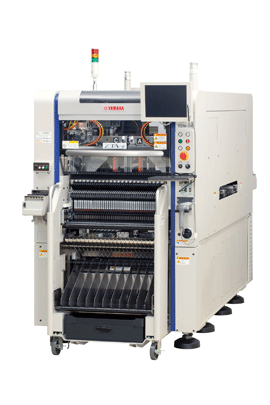 Flexible response for different production configurations! *Comparison of chip mounting capability (CPH: chips per hour) under ideal conditions among 4-beam 4-head class surface mounters. In-house research as of April 2016.